We don’t like to write about politics or even politicians, but Ed Koch is a one of a kind Mayor. He was New York in every way and in his personality. He represents everything about this city and even through the tough times , he was tough as nails. Definitely a character! The man was bigger than NYC itself, R.I.P. 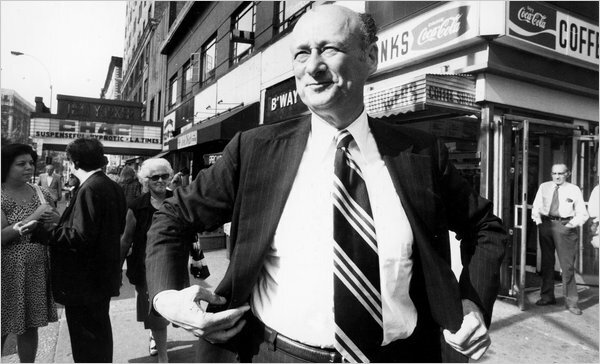 Mr Ed Koch. A light turned out in New York. How you doing? You did great Mr Mayor! ..you did great! Mr. Koch! you really did a fantastic job and there is no doubt about your innovation, hard work and dedication. Thanks a lot for being a part of this system. Please check my [URL=http://www.journalfrancais.com/]journalfrancais.com[/URL] and install it on a system, you would definitely be capable to earn and learn. Thanks a lot for a nice information and interesting articles. Keep it up the good work here. Mr. Koch! you really did a fantastic job and there is no doubt about your innovation, hard work and dedication. Thanks a lot for being a part of this system. Please check my journalfrancais.com and install it on a system, you would definitely be capable to earn and learn. Thanks a lot for a nice information and interesting articles. Keep it up the good work here.